If we in Unity have any interest in attracting the 75% of Americans who identify themselves as Christian then we need to speak their language. When we're asked about Unity's teachings about the incarnation and the atonement, it is no longer acceptable to give trite answers. We need a solid explanation of metaphysical Christianity that is comprehended by those trained in orthodox language. 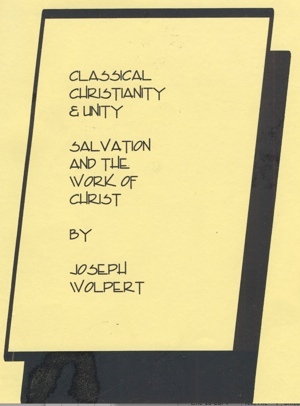 In my opinion, Joseph Wolpert has done a wonderful job of explaining Unity's teachings in a language that is understandable to most people today.